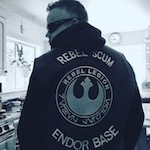 Rebel Legion :: View topic - Battlefront 2 Resistance Officer? 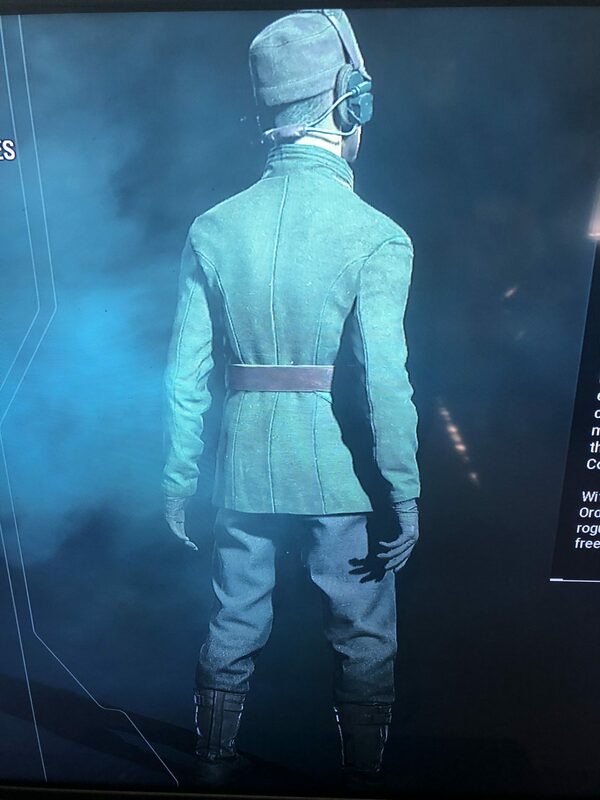 Posted: Fri Aug 31, 2018 5:15 pm Post subject: Battlefront 2 Resistance Officer? 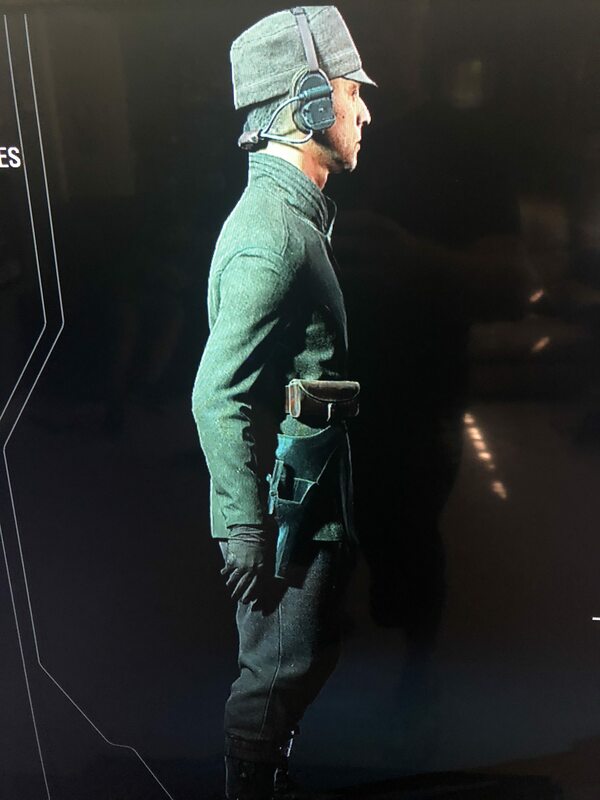 So, I'm building a TFA generic Resistance Officer. 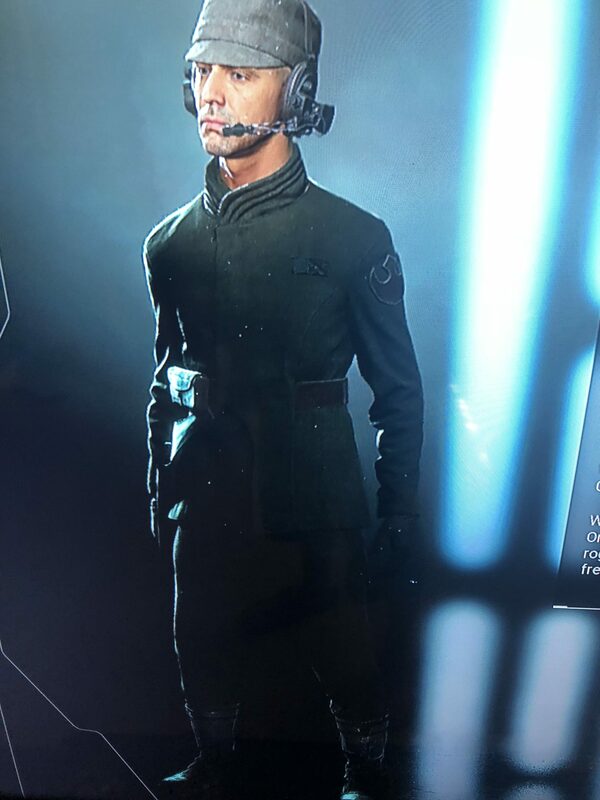 Then I come across a Battlefront 2 Resistance Officer. I realize there's no CRL for this. 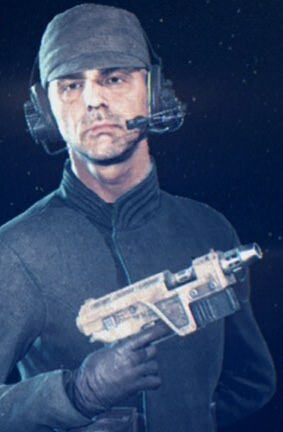 My question is, is this just a Resistance Officer with added blaster, gloves, hat and headphones? Or would the actual costume (jacket, pants, and boots) be different? 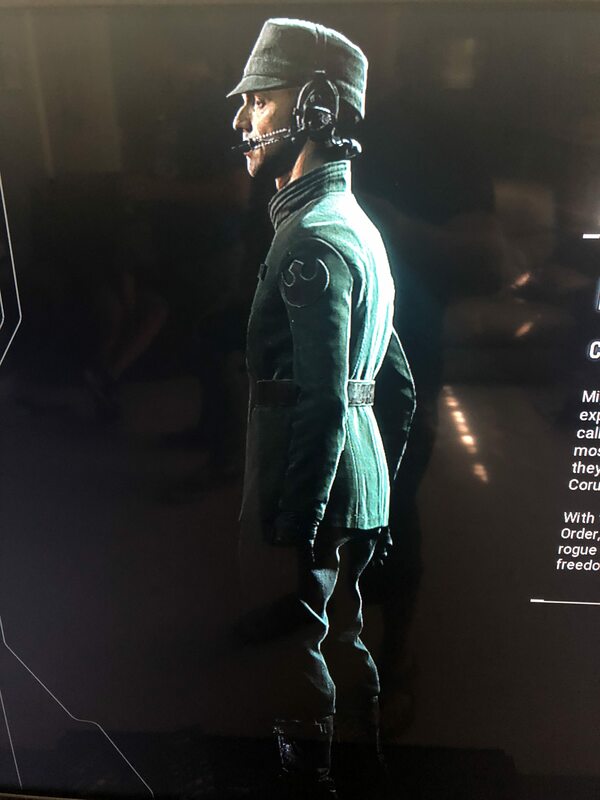 Posted: Fri Aug 31, 2018 6:45 pm Post subject: Re: Battlefront 2 Resistance Officer? 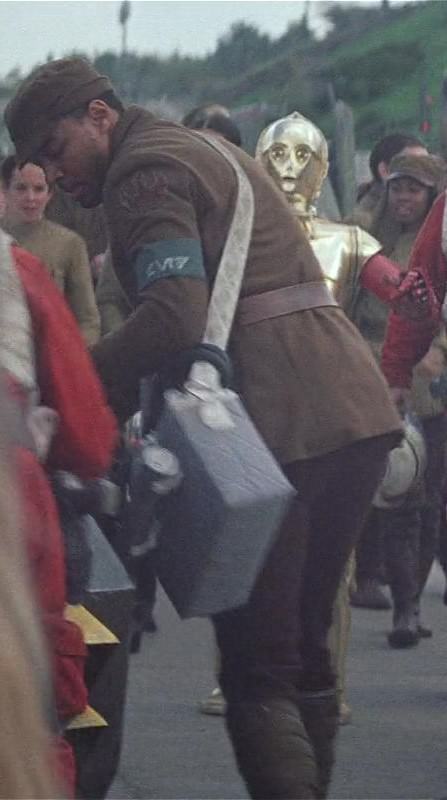 We see that same hat on RO in TFA, and the blasters listed are standard Resistance blasters. I think you can use the existing standard, and when we update it to the new format, we'll just add the hat and blaster as optional. 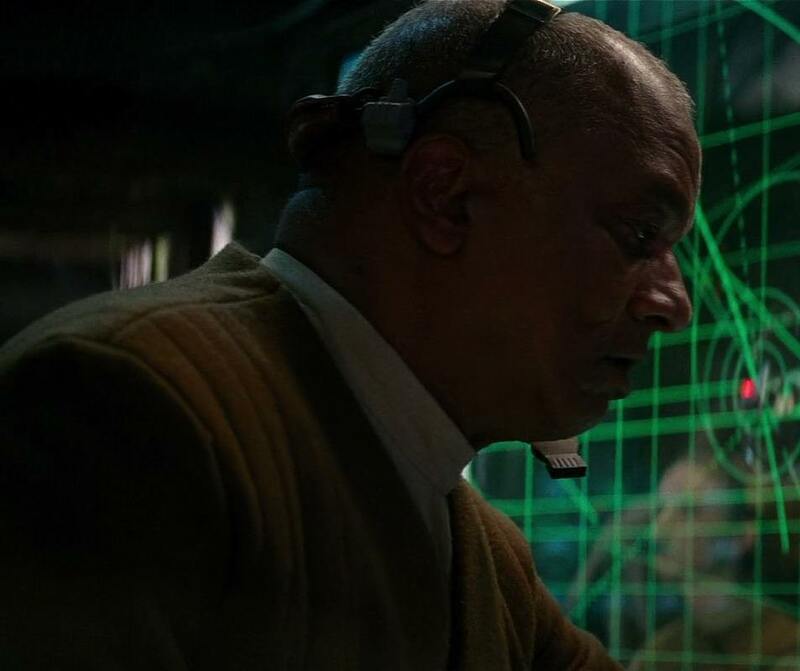 The headphones may be different- the ones I've seeing at first glance in the movie references don't have earpieces that cover both ears, but if you can provide references with your application, that should be good. 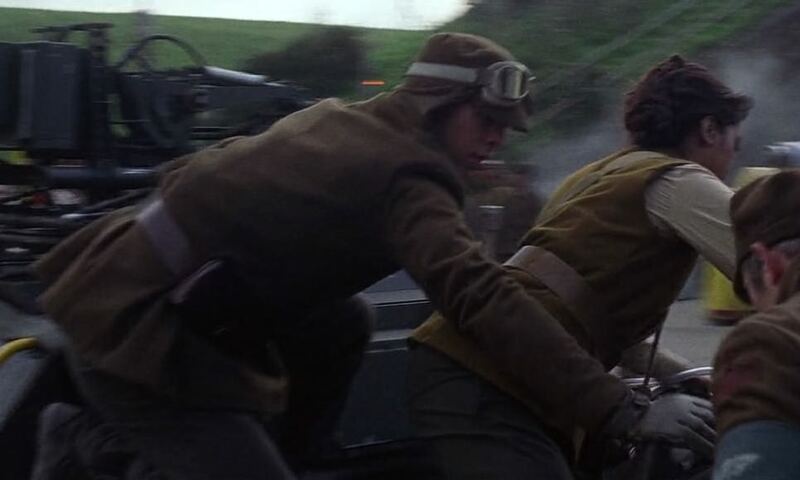 To be honest, it would be kind of fun to add a blaster. Here are some screen shots from the game. It looks like the colors are different from TFA CRL. The jacket looks forrest green. The pants look grey. There is a fair bit of blue light, it can change the colour. Are there any turnarounds or promo art that we could look at?